Teodirico's Pinoy Steamed Siomai Recipe Revealed! One of the common questions that our customers have been asking us is the recipe for our steamed siomai and how we were able to achieve such a delicious taste and at the same time make it very affordable. Like in most if not all food businesses and restaurants, the recipe is always kept secret to maintain product ownership. However, making siomai is not really a rocket science and not a very complicated dish to make and we are very willing to share it to everybody, at least the base ingredients which you can easily adjust at your own liking. Our siomai contains ingredients that are readily available at your nearest public market or grocery stores. Don’t believe it? Below is our basic recipe which you can easily tweak to suit your own taste! Mix all ingredients and this is now your siomai mixture. Put a portion of the siomai mixture to the cut lumpia wrapper and pack to form the siomai. Steam siomai for 15 minutes. And that’s it! Just three steps! Really very easy that even your kids can make, right? So feel free to try the recipe, let us know if you have any questions, and enjoy! Or to save you time in preparation and cooking, just visit us in any of Teodirico’s Steamed Siomai branches in Lapu-Lapu City, Cebu. Thank you for sharing your recipe. I’ll try it. 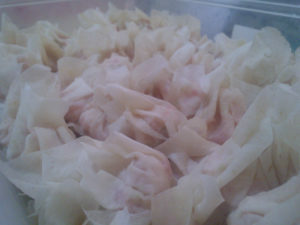 How about the steps in making siomai sauce? No problem mam, hope you’ll like our siomai recipe. For the siomai sauce, please stay tuned and follow our posts in the coming days and we will share it here in our blog too.